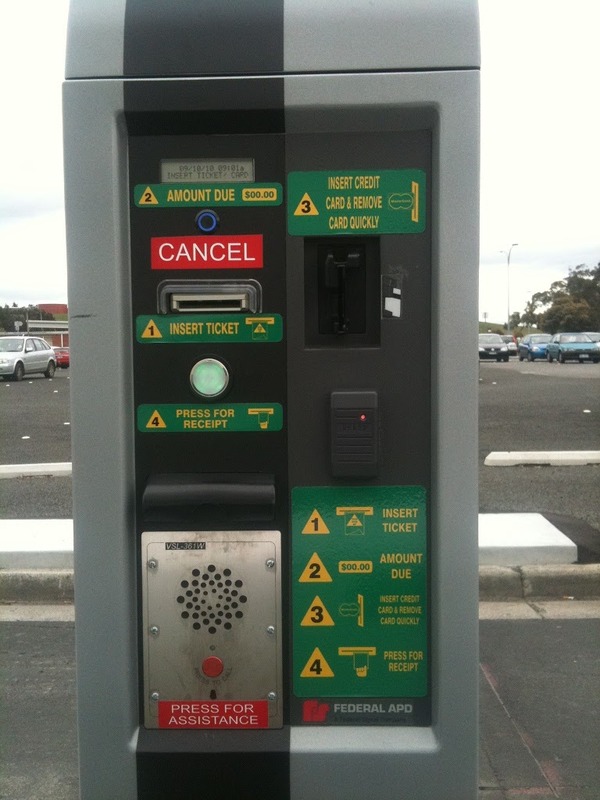 Recently Hobart Airport ‘upgraded’ their parking payment system with some fancy new machines. 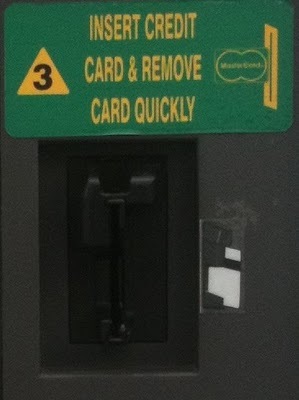 This new, modern, streamlined payment system allows the driver to pay before returning to their vehicle, or pay with credit card at the exit… Well, sorta. I’ve been wanting to get pictures of these machines for a while but I’ve always been at the airport at night or in the rain. Finally today I managed to get a picture of the fantastic machines! 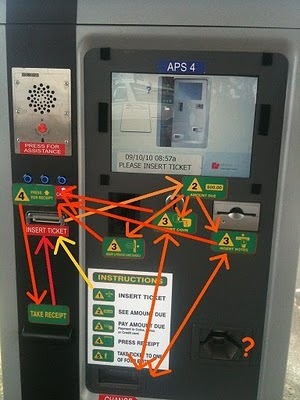 Ok, so you’ve decided to pay before you return to your vehicle, here’s the payment machine. Wow. Instructions all over it. Let’s see, wait a moment, there’s a list of steps there. 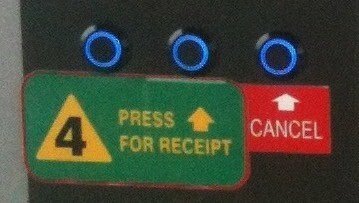 Okey dokey, maybe it’s not so bad after all, where’s number 1 on the machine…? Hey, there’s a long queue of grumpy travellers behind you, hurry up. There’s number 2, there’s number 3 … and number 3 again … and again … and step 4’s over there, but where’s step 1?!? Eventually you will get there but don’t forget to press the receipt button before the ticket pops back out again! So which button is it? I think it is the middle button but I couldn’t give you any guarantees! Next time, you will probably decide that that machine is ridiculous and instead you will pay with a credit card at the exit gate. Let’s see how you go. Seems easy enough. 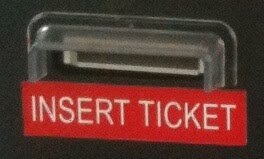 Put the ticket in, now where does your credit card go? Just to prove my point, this evening we were behind a couple trying to use the first machine. 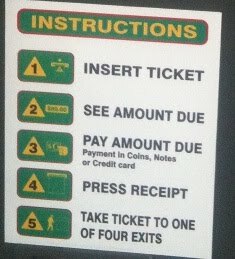 They tried inserting their ticket into the credit card slot, and pressed the left hand button for a receipt… They looked frustrated!